Building projects afford wood lovers an opportunity to exercise their tastes. Douglas-fir is popular for many reasons: strength, durability, and longevity. 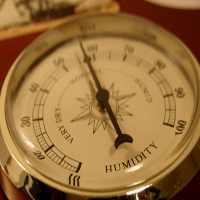 Whether constructing an outdoor gazebo or installing wood floors indoors, moisture content monitoring and control is crucial to the wood’s health. The Douglas-fir (Pseudotsuga menziesii) is also known across various regions as red-fir, Douglas spruce, yellow fir, Douglas tree and Oregon pine. This North American softwood species resides from the Rocky Mountains to the Pacific Coast, and from Mexico to central British Columbia in Canada. It is, in fact, not even considered a true fir tree in some classifications since it is not a member of the genus Abies. But the debate over its classification has done nothing to diminish its popularity. Douglas-fir is a colorful tree. In old-growth stands, sapwood (underneath the bark) is narrow, but in second-growth Douglas-fir trees, sapwood can be as much as three inches (7cm) wide. 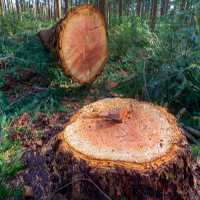 Old-growth heartwood (at the tree core) may be yellowish-brown, which prompts the market moniker, “yellow fir.” Young trees have reddish heartwood and are called red fir. For all that is known about Douglas-fir, its weight and strength vary widely. So does the moisture content between Douglas-fir heartwood and sapwood. However, the Douglas-fir tree is considered a stable and durable wood species and has historically been used when a high load capacity is needed. Douglas-fir is used mainly in the building and construction industry to form buildings, in the form of lumber, marine rendering, piles, plywood, and engineered wood composites. Douglas-fir is also used for common structural components such as railroad crossties, cooperage stock, mining timbers, poles, and fences. 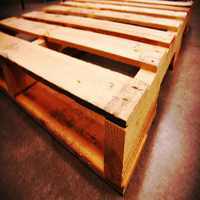 However, many consumers utilize Douglas-fir lumber for wood sashes, doors, laminated beams, general millwork, boxes, pallets, and crates. Also, small amounts are used for flooring, furniture for indoor and outdoor use and in ship and boat construction. There are technical benefits to the Douglas-fir. Douglas-fir is reported to be highly suitable for use in areas where wear is a factor because of its hardness. It has a high bending strength in the air-dry condition, and strength in compression parallel to grain is also in the high range. Douglas-fir is reported to be easy to plane and works readily with hand and power tools. Builders can produce furniture from Douglas-fir due to its ability to retain its dimensions during processing. It is reported to have very good resistance to splitting in nailing, and nail holding properties are excellent. Also, gluing characteristics are rated as very good, as are screwing properties. Screw-holding qualities are excellent. Douglas-fir is also a popular choice when installing wood floors in certain applications. The grain is usually straight and may be even or uneven. There is a tendency toward curly or wavy characteristics sometimes. Douglas-fir is reported to have satisfactory staining qualities. Some stock may develop a slight pinkish to salmon color when finished. Care should be taken when refinishing old floors because of the potential color change. Mixed grain can produce a much-desired antique look due to its weathered appearance. When installing wood floors or making furniture, mixed grain Douglas-fir provides a rustic look. Regardless of the intended use, the moisture content monitoring and management of Douglas-fir is important. Moisture meters for wood are the tools by which builders and consumers can monitor changes in the moisture content when installing wood floors using Douglas-fir or another other wood species of flooring. Wood naturally shrinks and expands based on changes in the relative humidity (RH) of its surrounding environment. Moisture content readings may rise when the RH is high, and they may drop when the RH drops. This is natural and healthy. In fact, wood lovers can utilize moisture meters for wood to monitor Douglas-fir moisture content changes throughout the seasons and years of its lifetime. The wood’s moisture content is as sure to change as the seasons are to change. Despite the relative stability of the Douglas-fir, ensuring a stable balance between the RH of the intended installation room and the moisture content of the Douglas-fir flooring also ensures that the flooring will stand up to its reputation. As with any wood species, excess moisture can cause cupping, crowning, excessive gaps between boards and a host of other problems – even with Douglas-fir- so a wood moisture meter provides a measure of protection for your flooring investment. In order to achieve that moisture content balance, a reliable wood moisture meter provides repeatable and accurate moisture content readings in the flooring as it equilibrates with the site. More specifically, moisture meters with species-programmable specific gravity settings for woods such as Douglas-fir can be sure that the readings they take are accurate for the species at hand without the complication of requiring a species adjustment table. Professional users may opt for a wood moisture meter which also stores a number of spot-checked moisture content readings for quality assurance purposes, like the Orion® 950. And for products like flooring, cabinetry or furniture, pinless meters provide the accuracy that is necessary with the assurance of a damage-free wood surface. 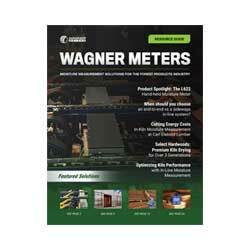 A wood moisture meter is an information technology investment that will let you optimize the outstanding performance of Douglas-fir products.